The first Highlander movie came in 1987, starring Christopher Lambert as Connor MacLeod, and Sean Connery as Ramirez. A sequel followed, also starring Lambert and Connery, which said immortals came from another planet--this was later remastered, with the director's cut, Highlander 2: The Renegade Version. This one had no mention of the planet Zeist. The series was next. It starred Adrian Paul as Duncan MacLeod, a clansman of Connor's, 50 years younger. Christoper Lambert appeared in the first episode. 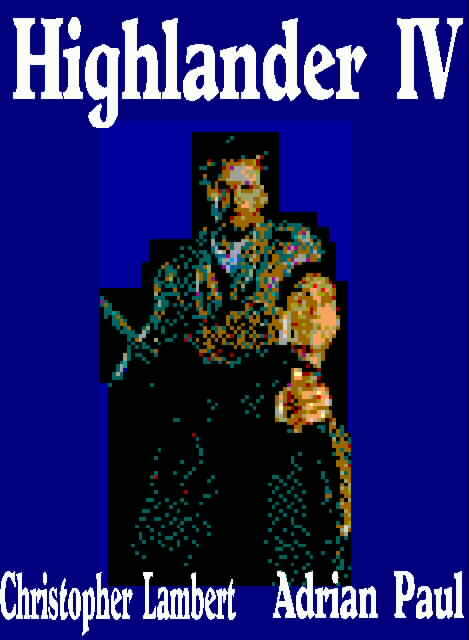 Highlander 3: The Final Dimension came in 1994, again starring Lambert and Connery. Highlander 4: World Without End starts production this fall. 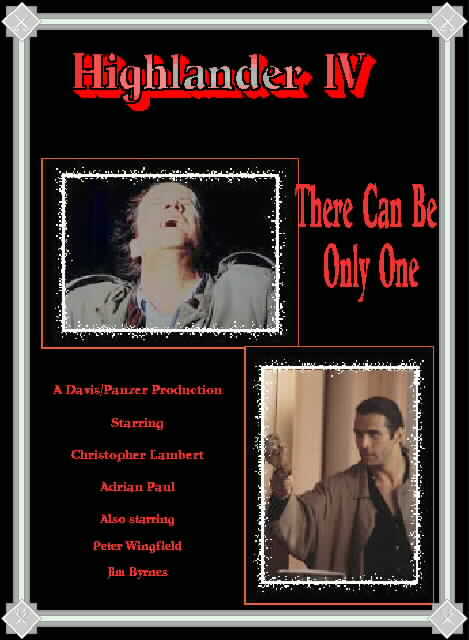 It stars both Christopher Lambert as Connor, and Adrian Paul as Duncan(yay!). New info: Highlander IV will be taped in Paris, NY, Bucharest, and Scotland! New rumors: Methos *might* be in it!